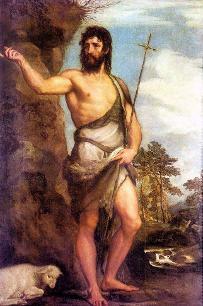 John the Baptist is an intriguing figure: disturbing, ascetic, blowing in from the wilderness like a scorching wind. Free, aggressive, confidently challenging the establishment and individuals alike with his conviction of the coming Messiah: confronting them with the need radically to reshape their lives and reorientate their attitudes. And confirmation came with Jesus. “This is the One”, said John. Then prison-John is seized. A man used to life in the desert, walking the mountains at will, John is now shut away, confined. Doubts grow, and John sends messengers to Jesus. From preaching, “This is the One”, he now asks, “Are you the One?” Why did he have such doubts? Jesus doesn’t give a straight answer. Why couldn’t Jesus simply have said, “Yes”?